Pain that does not get worse with physical activity. A steady pain - non-pulsating - on both sides of the head. Tightness in the muscles of the neck or head. No vomiting or nausea accompanying the headache. a child's quality of life." 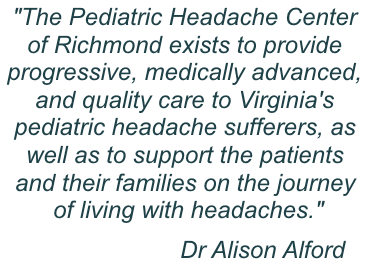 We are the Pediatric Headache Center of Richmond dedicated to the diagnosis and treatment of headache sufferers from birth to 21 years of age. Patients and families can expect quality care, support and understanding of living with the dibilitating affects of headaches. Dr. Alford explains Concussion Symptoms and Treatment in an interview with NEWS3. Children can develop different types of headaches just like adults. These may include migraine, stress related or tension headaches and chronic daily headaches. 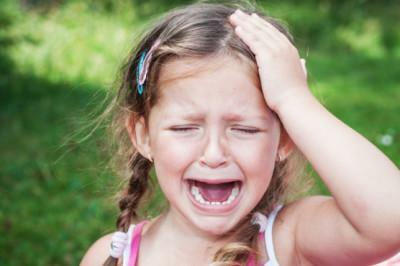 Headaches in children may be caused by high levels of anxiety or stress, minor head trauma, or infection. Certain foods and drinks can bring on headaches such as food preservatives or too much caffeine. Genetics can also be a factor if there is a history of headaches in the family. Chronic Daily Headache (CDH) is a phrase used for migraine and tension type headaches that occur more than 15 days a month for more than 3 months. Minor head injury, infection or taking pain medications too often may be causes for CDH type headaches. Tension Type Headaches can last from 30 minutes to several days. Younger children will want to sleep more and may withdraw from regular play. A steady pain – non-pulsating – on both sides of the head. 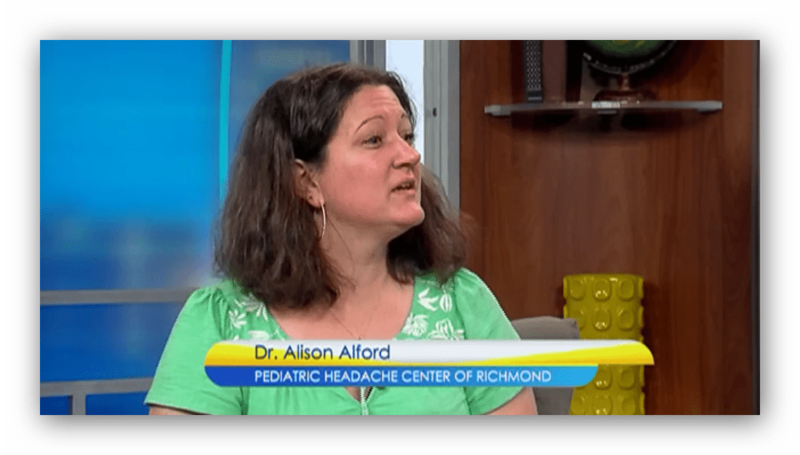 Cluster headaches are not common in children under 12 years old. They usually range from one headache every other day to eight a day in groups of five or more episodes. The headache also involves a sharp, stabbing pain on one side of the head that can last from 15 minutes to three hours. A runny nose, congestion, tears or agitation and restlessness usually accompanies Cluster Headaches. Migraine is common in children. Roughly, 10% of school-age kids suffer. Childhood migraine can greatly hurt a child’s quality of life. Children and adolescents may develop anxiety in anticipation of an attack knowing that their school time or enjoyment of activities could be affected. Migraine suffers are absent from school twice as often as those children that don’t. While we often think of concussion in athletes, they can happen with any head injury and often without loss of consciousness. Parents need to recognize common signs and symptoms so their kids can get prompt treatment. A child may seem okay. However, symptoms can develop hours later. Become more frequent or get worse. Cause your child to wake from sleep. Are accompanied by neck pain or stiffness and fever. Are after an injury such as a blow to the head. Cause changes to vision or repeated vomiting. At this time, a doctor’s referral is not required but is preferred. What is most likely causing the headache symptoms? Is a prescription medication needed? Are over-the-counter medications available that would work? What can we do to prevent the headaches? What can we do at home to treat the pain? What follow-up will be needed? Are the headaches accompanied by other symptoms – nausea or dizziness? Has there been any change over time? Does anything make the headache worse? Does anything make the headache better? Neurofeedback is a powerful and non-invasive process that can help to improve, or even eliminate, symptoms of ADHD, anxiety, brain injury, depression, migraines, OCD, insomnia, chronic pain and fatigue. It starts with the brain mapping system that evaluates your brainwaves and provides information about the communication between various parts of the brain. You are given a detailed visual report at the end of the mapping session that depicts areas for improvement. The report identifies unhealthy brainwave patterns and connectivity issues providing training protocols to help improve and even eliminate the symptoms. Your data is compared to a database of similar individuals with healthy brainwave patterns and this is what identifies the protocol used to train the problem areas into healthy patterns. It is the process of a full exam by the physician which may result in cognitive rest and possibly physical therapy, occupational therapy, speech therapy and vestibular therapy. Before your appointment, download and fill out the patient forms on the Patient Forms page. Bring all forms to your appointment along with insurance card and co-pay. Is there anything I can do to get ready for my appointment? the headache and how long it lasts. Make a note of questions to ask the doctor. Your initial appointment will be 40 minutes. What is a Neurofeedback training session like? The training sessions are 30 minutes long and you watch a movie or television show for the duration of the session while you wear photic light glasses. The computer monitors brain waves and sends signals to gently guide brainwaves back into healthy patterns. It typically requires 30-40 sessions, occurring twice a week. 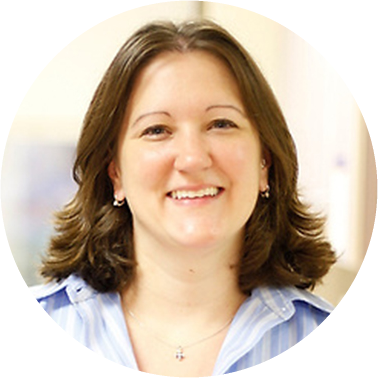 Results are often permanent and eventually neurofeedback is no longer needed. You will undergo a mapping session after about 20 sessions to monitor progress and then a final mapping after treatment to verify balance. What does Concussion Management entail? Recommended therapies following the physician’s exam would all be coordinated between the physician and therapists. 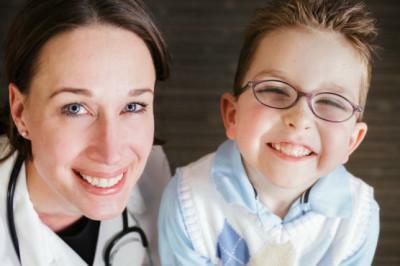 We also help to provide documentation for schools and possible home-bound orders if the patient is not able to attend classes for a period of time. Sometimes we need neuropsychological testing which includes multiple scales looking at the way the brain is functioning and learning.